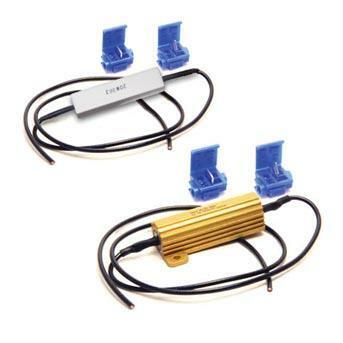 Putco LED Lighting - Light Bulb Resistor Kit - Dezod Motorsports Inc - Home of the automotive performance enthusiast since 2002. Solve LED related turn signal problems such as hyper flashing or burnt out bulb indicators. Can be used with most import and domestic vehicles. Part # 230004A – 6 Ohm 50 Watt Resistors. Part # 230004C – 6 Ohm 25 Watt Resistors.